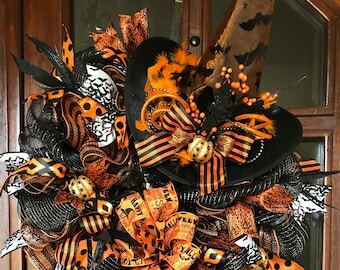 Fall Wreath. 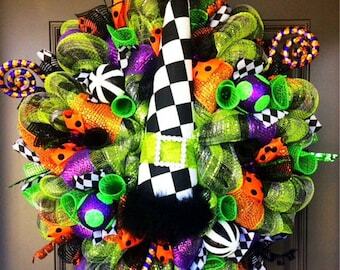 Halloween Wreath. 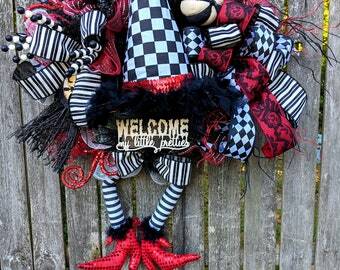 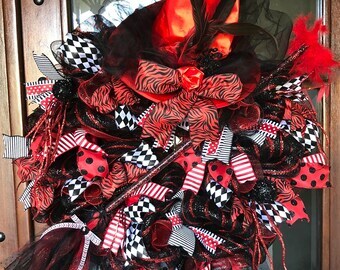 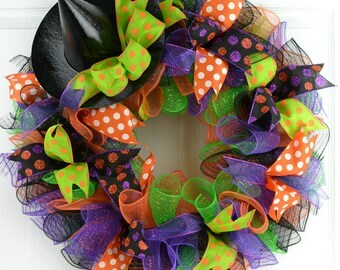 Witch Hat Wreath. 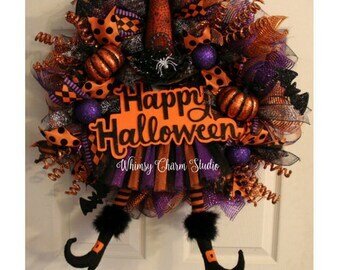 Fall Wreath. 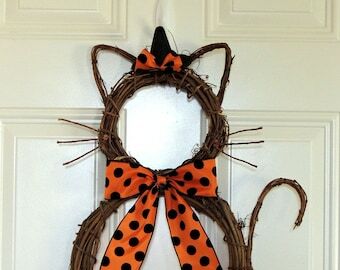 Halloween Party Decor. 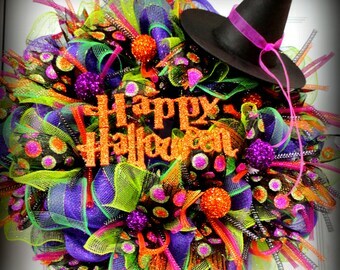 Halloween Wreath. 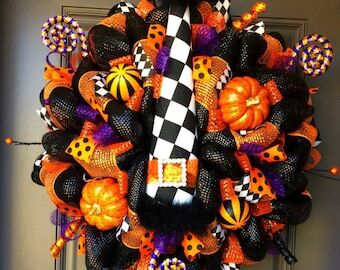 Halloween Wreath. 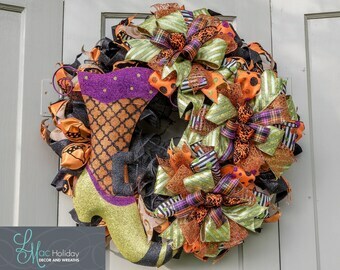 Fall Wreath. 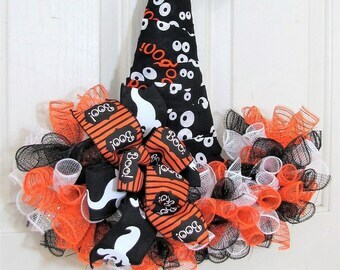 Witch Hat Wreath. 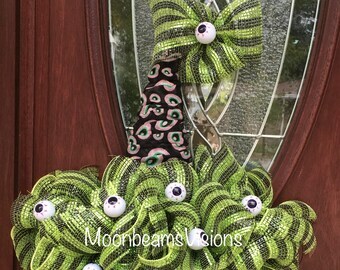 Sale!! 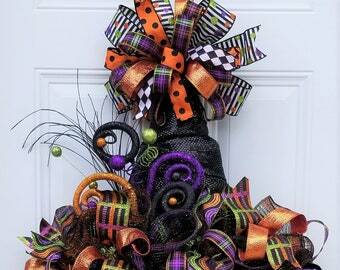 Halloween witch swag. 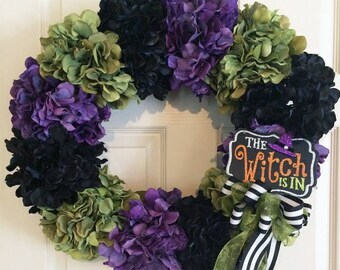 Witch wreath. 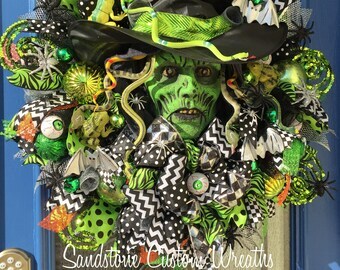 Witch door decor. 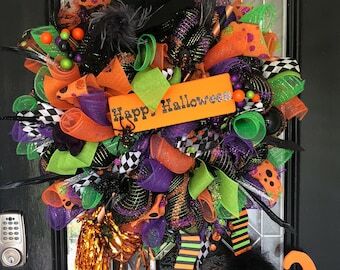 Halloween wreath. 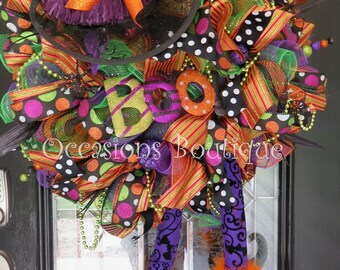 Halloween swag. 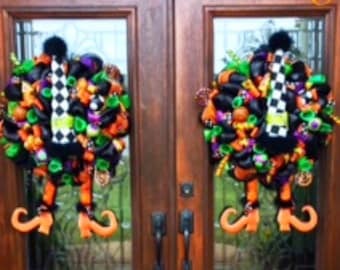 Halloween porch.